If you regularly use social media sites like Twitter and Facebook to get the word out about your site, it’s likely that you have used URL shorteners or in the very least seen someone who has. 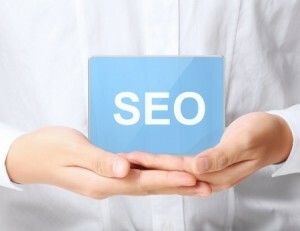 But do you know how good shortened URLs are when you use them as part of an SEO strategy? That’s what we’re planning on discussing with you today. Shortened URLs are used all over the web, but the one place in which they are incredibly popular is on the social media website Twitter. If you’ve ever used Twitter you know that you only have 140 characters in which to say what you want to. Now if you’re trying to tell people about a new blog post that you have published or want to say something witty about your new website, the last thing you want is for your link to take up almost all of your tweet. Shortened URLs enable you to say what you want and include your link. In addition, it has also been proven that the shorter your tweet is the more that it will be re-tweeted so many internet marketers purposely try and write tweets of 120 characters or less for this reason. But whilst you are going about making tweets with short URLs, have you ever stopped to think about whether your SEO strategy is being harmed? There are mixed opinions from SEO experts as to whether shortened URLs can actually harm an SEO campaign so we decided to see what Google had to say about the issue. Matt Cutts from Google has made a video post about the subject in which he states that shortened URLs are no different to any other form of 301 redirect and ask such no harm should be done to your site by using them. In fact, he even goes as far to say that they receive the same amount of page rank value as normal URLs. Cutts does however recommend looking to see whether the links are do-follow or no-follow. No follow links, such as any link on Twitter, will not help your SEO strategy as much as a do-follow link will; however, Twitter links can still be beneficial in other situations. As far as shortened URLs go though, there is no harm in using them in place of long URLs. Want to Shorten Your URLs? There are dozens of tools that can help you to shorten your URLs but why trawl the web when you can use our URL shortener for absolutely nothing. All you need to do is enter your URL into the shortener tool and a short URL will be provided to you. In future, whoever clicks on your shortened URL will be redirected to your long URL instantly. It is that simple. Our URL shortener can be used for a variety of different links and it is extremely simple and convenient to use. We hope you find it beneficial. URL Shorteners – What’s the Point? « Do You Know How Fast Your Website Loads? thanks.Actually i was worried about short URL. Most of the time i use short urls for back linking.some of my friends said it will affect seo.now i’m happy. Thanks for the info on shortened URLs. They’re great to analyze real time click metrics which can be very helpful. So, if i understand you correctly, if i use a short url while doing blog commenting, the SEO benefit of my website will be the same as if i use the normal full url, right?